What Is Roof Flashing and Why Is It Important? There are many different parts to your roofing system, and each plays an important role in keeping your home protected from the elements. Flashing is another cog in the wheel, and as you'll find out, it is crucial to the success of your roof. Here's what you need to know about flashing, why it's important, and how you can tell if yours has failed. Flashing is used around areas of the roof where a protrusion breaks the surface. Though the roof may seem fit tightly around these areas, the gap will expand and contract with the change in temperature and humidity. Flashing is an extra layer added in the roofing system to help accommodate this gapping. Flashing can be made from a number of different materials, including metal like copper, aluminum, or stainless steel, and plastic. 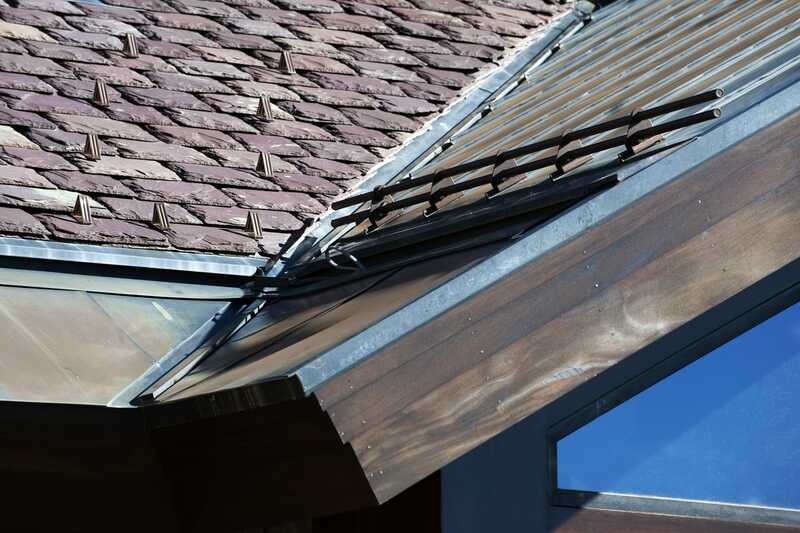 Copper is the most ideal material for flashing because it is durable and adapts well in all kinds of weather. Each layer of your roofing system works together to keep your home dry, clean, and warm. Flashing acts as a barrier in the areas of your roof left vulnerable by protruding chimneys, vents, and skylights. Flashing is important because the areas around projections in your roof become vulnerable as the surrounding materials shrink and expand. Flashing surrounds these "holes" in your roof and ensures that no gaps occur as the temperature changes. Improperly installed flashing or poorly made flashing can cause your roof to fail prematurely, and replacing flashing can be quite a challenge. For this reason, it's crucial to implement high-quality flashing whenever your roof is replaced. Your local roofing professional can help you determine what material is right for your flashing. How can I tell if my flashing has failed? If your flashing has failed, it will often result in a leak. Depending on the condition of the roof and the amount of moisture it is subjected to, the leak could manifest in water spots on your ceiling or even the deposit of water into your home. A leaky roof could be caused by several different factors, so to determine the cause of your leak, contact a trusted roofing professional. Be aware of any damage such as a falling tree or hailstorm that may cause your flashing to fail such, as you may be able to address the problem before a leak occurs. Your roof acts as your home’s shield against rain, snow, and sleet. Without proper flashing, it cannot adequately function. If you need roofing services to get your system back in working order, contact Pacific Sheet Metal. Our team of experts can assess your roof’s condition, resolve the problem at hand, and provide future guidance when it comes to replacing your system. Contact us to learn more about how we can help you and your roofing system.